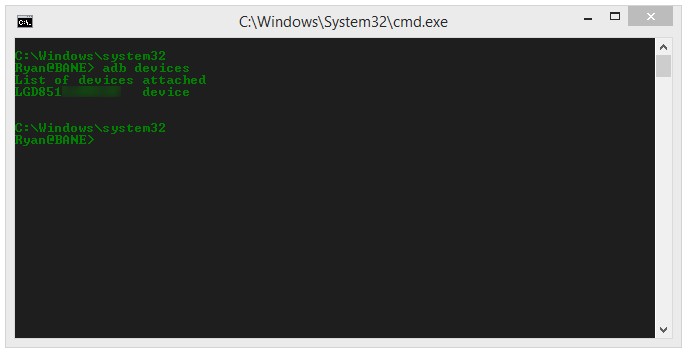 When the device is set to use MTP, neither Windows, nor ADB will detect the device when connect via USB cable. I have tried multiple cables, in multiple USB ports. I have not tried other computers yet, as this is the only one that actually has the driver installed. No one, except me, has reported this as an issue in the XDA thread. I have been unable to get my PC to detect the device via USB since I first installed CM12, which was around 11/10/2014. 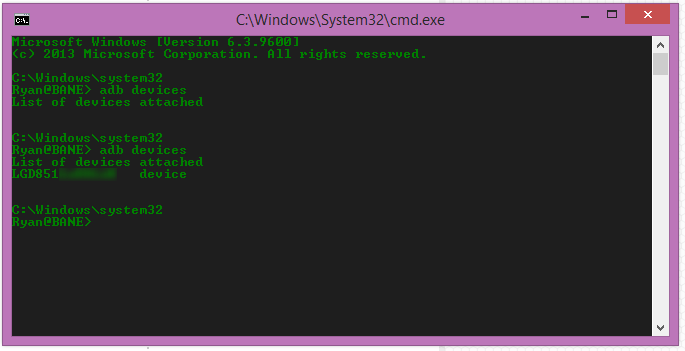 If i change to PTP, Windows will detect the device, as will ADB. But Windows will only let me access the internal storage, and Camera folders. After a couple of days of digging, I found the solution to this issue. I opened up Device Manager. 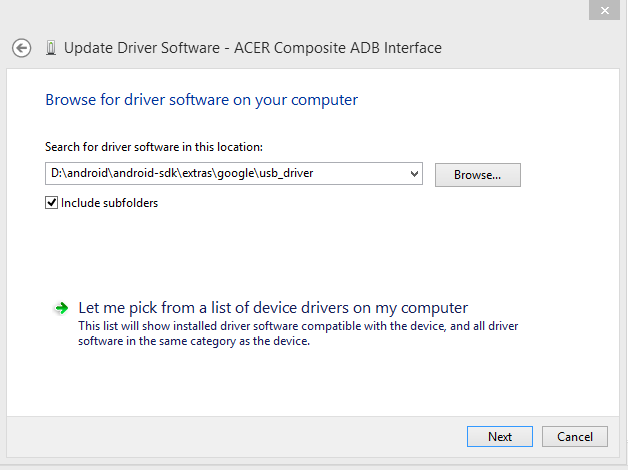 My first problem is I was looking for Android Composite ADB Interface, which is what it usually is called. I started looking harder. When I noticed ACER Device. My machine is not an ACER, nor do I have any ACER devices attached, or so I thought. 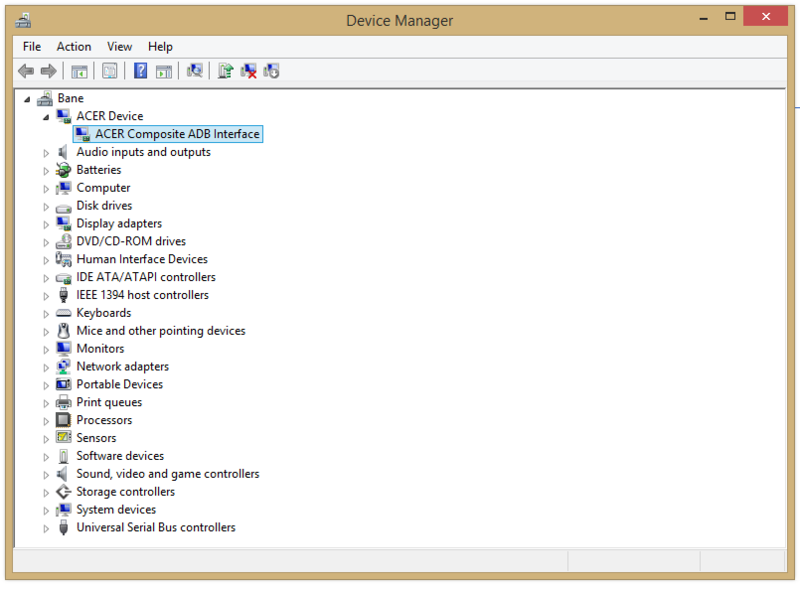 I expanded that group and found ACER Composite ADB Interface. 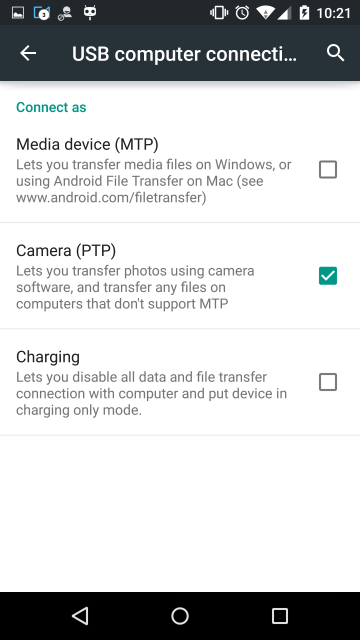 These are the steps that I followed that got my ADB working with my device. YMMV. You may need to reboot after. I did. The device may identify differently, and will probably have a triangle icon. 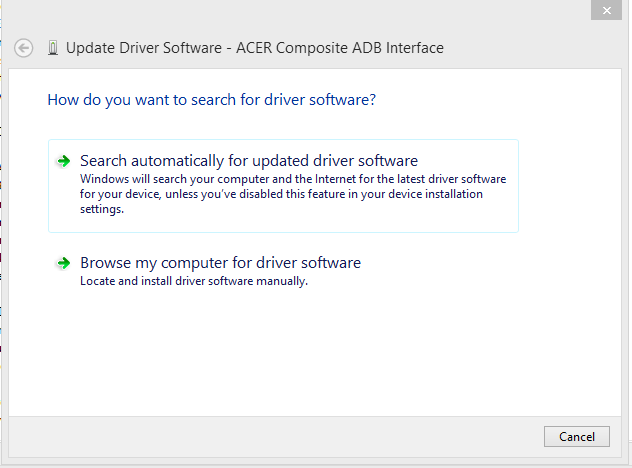 Select the path to the drivers that you downloaded at the first step, check the "Include subfolders"
Not the answer you're looking for? Browse other questions tagged cyanogenmod 5.0-lollipop windows mtp lg-g3 or ask your own question.